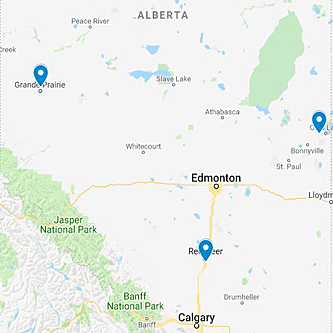 A clients tank farm consisting of 7 tanks requiring both internal and external coating applications in the Conklin Alberta area. Exterior application of localized heat affected zones, and bare welds were addressed with a single coat of Intertherm 228 on 6 of the 7 tanks. The exception being the uninsulated T-125 which had a two component Interguard system applied – providing a UV protectant for the exterior surface. Internal applications included 3 coat applications of Devoe 253 as well as Devoe 253 coupled with Devmat 111 for where more stringent floor protection was required. With up to 80 employees on site at any given time, working in unison with both scaffold and insulators, safety culture and execution was imperative. Dalco provided in-house safety for all of its employees. Confined space monitoring, designated rescue personnel, fall arrest planning was all coordinated by Dalco’s safety team. 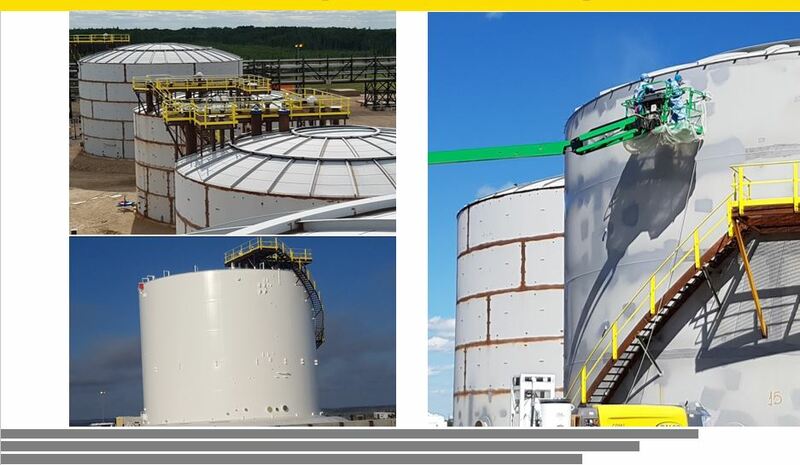 Proven safety, efficiency and productivity on a large scale project such as this tank farm is a milestone for the Dalco group.